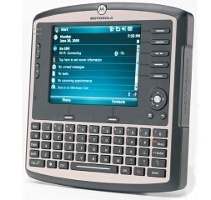 With the VC6096, now Zebra/Motorola offers you a robust vehicle terminal for installation in the drivers cabin, expanding its selection of portable computers with a model that meets the high requirements of the transport and logistics industry. Equipped with numerous language and data functions, such as WWAN, WLAN, Bluetooth, GPS and the integrated Telematik support, the VC6096 supplies all important standards that are necessary for increasing driver productivity and improving customer service. The device is designed for daily use on the street and protected against dust and splashwater, vibrations and impacts as well as against intensive sunlight. The elegant aluminium chassis even meets military standards and endures rough operational conditions. Its 16.5 cm 6.5 VGA colour display with touch screen is also well visible under extreme lighting as well as complete darkness, while user-defined screen keys provide the driver direct access to predefined menus and simplify navigation. The XScale processor with 624 MHz provides corresponding performance and the memory of 128MB RAM/256MB Flash also offers adequate resources for complex applications. A necessary expansion of up to 2GB is available to you via the integrated SD card slot. The Windows Mobile 6.1 Professional operating system guarantees simple integration in existing systems. Different company requirements are fulfilled through the open architecture of the VC6096 - you can select from standard applications or individual solutions. A large selection of interfaces provide the necessary flexibility to connect different peripheral devices via USB, RS232, Ethernet, or to integrate the VC6096 directly in existing bus systems via analogue or digital connectors. Naturally the VC6096 offers extensive language communication, either via a wireless Bluetooth headset or directly as hands-free telephone with the integrated speakers and powerful microphone. A fleet management system with real-time data such as position, route, operating times, arrival and departure times can always be implemented, facilitating the efficiency of the driver and vehicle enormously. Wireless, comprehensive communication and real-time monitoring of the vehicle is ensured by standard WLAN and GSM and also integrated GPS localisation of the vehicle or transmission of route descriptions, driver protocols or records of toll charges is always guaranteed and reduces typing and administrative work for the driver and the central administration. An energy-saving, high-performance processor and special chip set ensure perfect recognition, even in areas with weak reception. With the integrated Telematik support, operational data and vehicle transmissions are automatically monitored. The technical condition of vehicles, wear, fuel consumption as well as driving habits are quickly determined, guaranteeing proactive maintenance and optimisation of driver productivity, vehicle utilisation and service life. For refrigerated transport, temperatures are monitored through analogue inputs in real-time and if needed immediately corrected, reducing liability risk for spoilage of the goods significantly and ensuring you their profits, even in critical order situations. Numerous specific combinations of hardware, peripheral devices and applications, whether existing or self developed, are managed from the terminal. Using Bluetooth, additional devices are connected as scanners or imagers, expanding the range of the devices bar codes are read, signatures electronically collected or credit cards processed. Thanks to the integrated Mobility Service Platform MSP, remote maintenance or direct access and central control via remote is always guaranteed - even when the driver is on the road. In order to guarantee long-term efficiency, prevent downtimes and give you particular security, we of course also offer you the Motorola vehicle terminal with service contracts directly from the manufacturer.